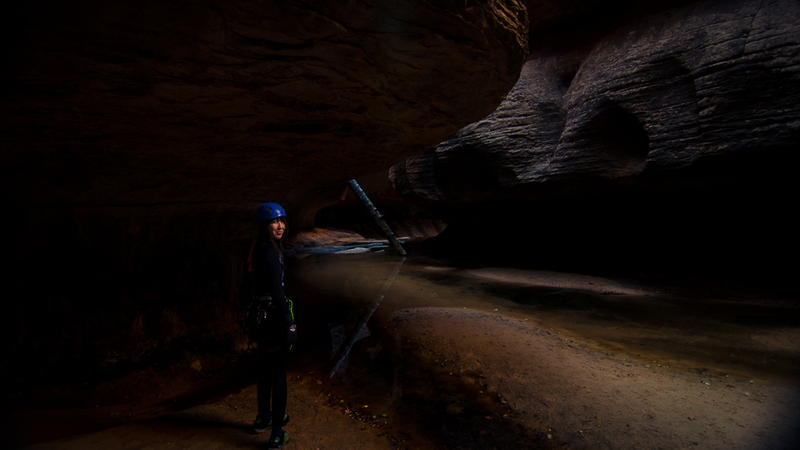 Ms. Fool and I decided to take a long weekend to run some classic Zion National Park canyons. 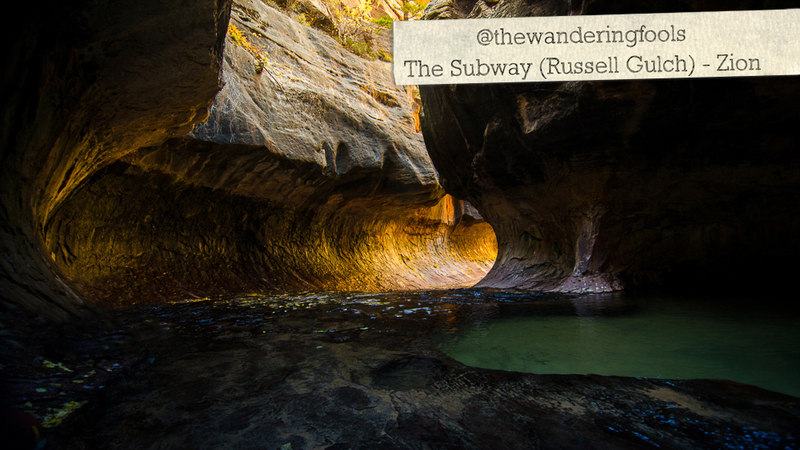 First up was The Subway via Russell Gulch. 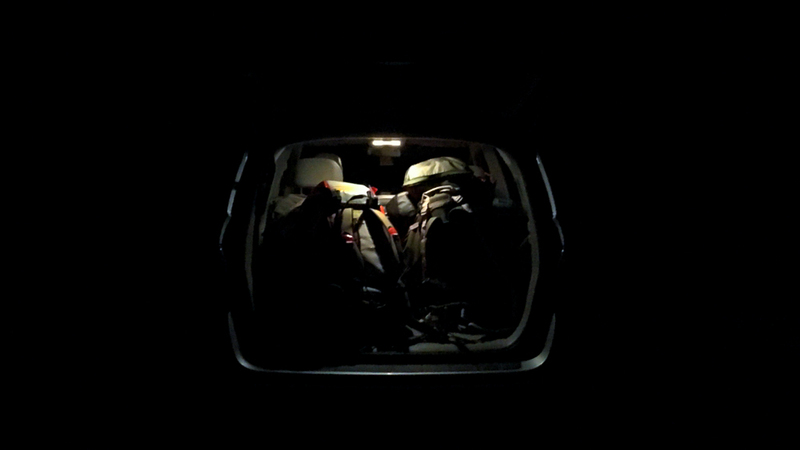 We packed up all of our gear, picked up a friend at LAX, then headed north, arriving in Zion at around 1 pm. 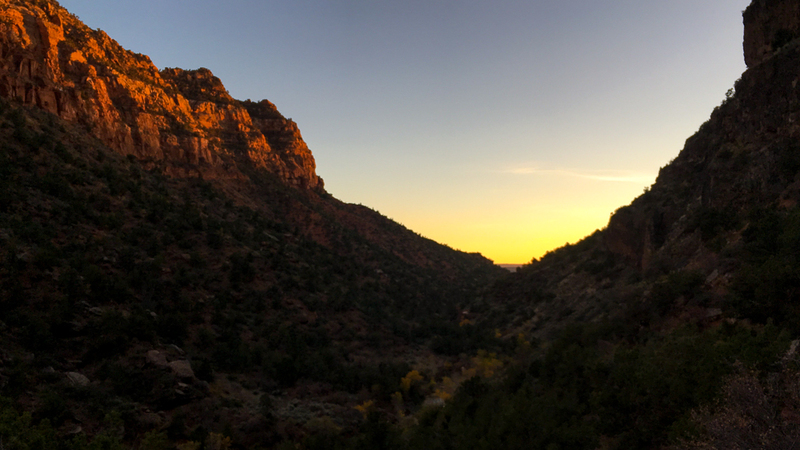 After retrieving our canyoneering permits from the wilderness permit desk, we decided to make the most of the daylight by hiking Angels Landing. 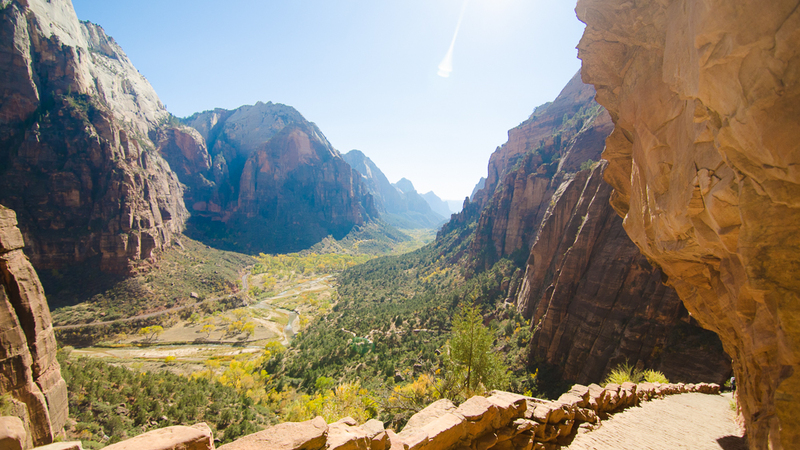 Angels Landing is an iconic Zion hike. With a trail roughly 2.4 miles long, the peak rises 1,488 feet above the valley floor and tops out at an altitude of 5,790 feet. In the cool weather, we made quick progress on the switchbacks to the top. Both Ms. Fool and I gave completed the hike, but our friend had not. So while she accompanied him along the remaining ridgeline, I dozed at a lookout point. 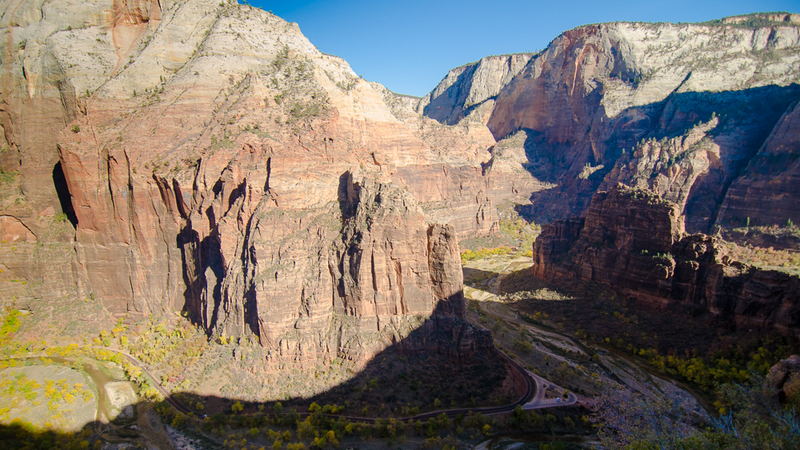 Finishing up the switchback section of Angels Landing. View from the top of Angels Landing of Zion National Park below. 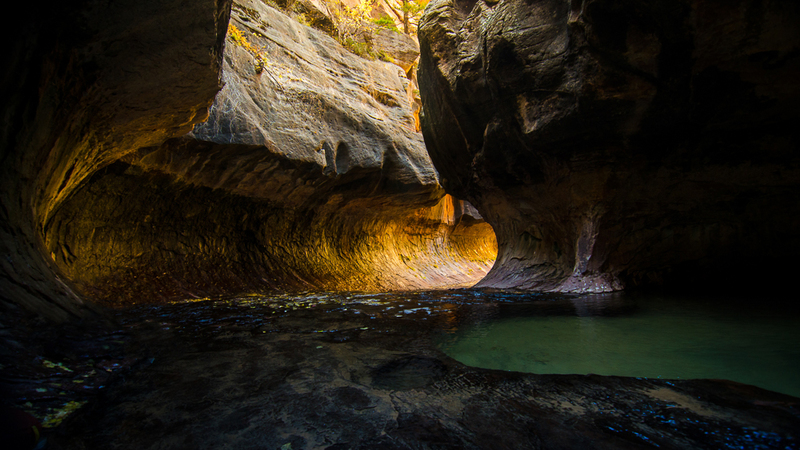 If you’ve looked up pictures of Zion, you’ve probably seen pictures of The Subway. The canyon looks remarkably like a subway tunnel. It’s so popular that it requires an advance lottery to see it during peak tourist season. While the lower portion can be done as a rappel-free day hike, it’s much more fun and scenic to descend from the top. 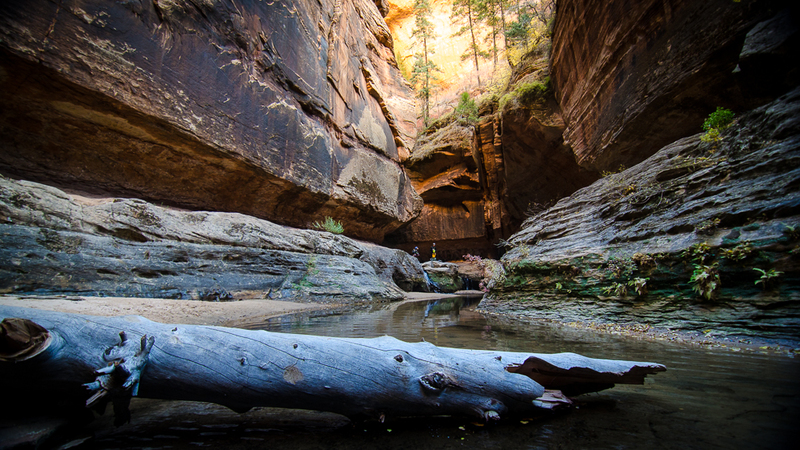 It’s also more exhausting: the canyon is rated 3B III (3B IV with the Russell Gulch approach) and takes 5-12 hours to complete the 9.5 mile trek. We woke up at 5:30 am and left our little hotel room in the town Hurricane, stopping for some coffee along the way. Our reserved shuttle picked us up and dropped us at the start of the hike. By 7:45, we were on the move. Unloading the car to catch the shuttle for our drop-off point to run The Subway. 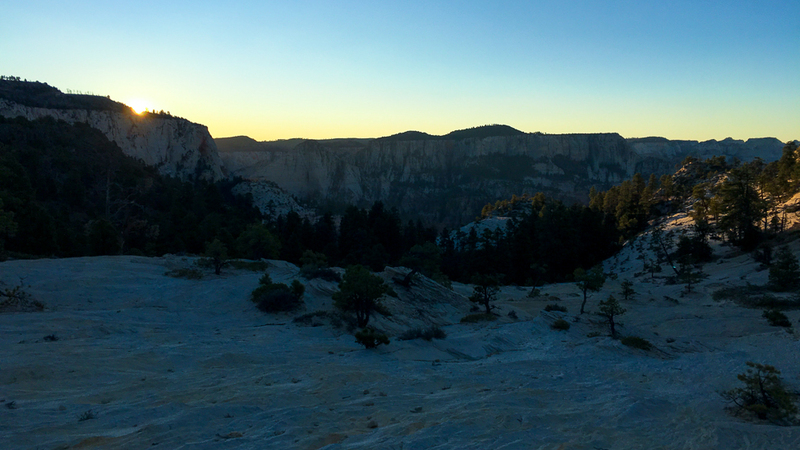 The sun took its time rising as we hiked. The hike in was not too bad – mostly flat or downhill. We watched the sun chase away the shadows. 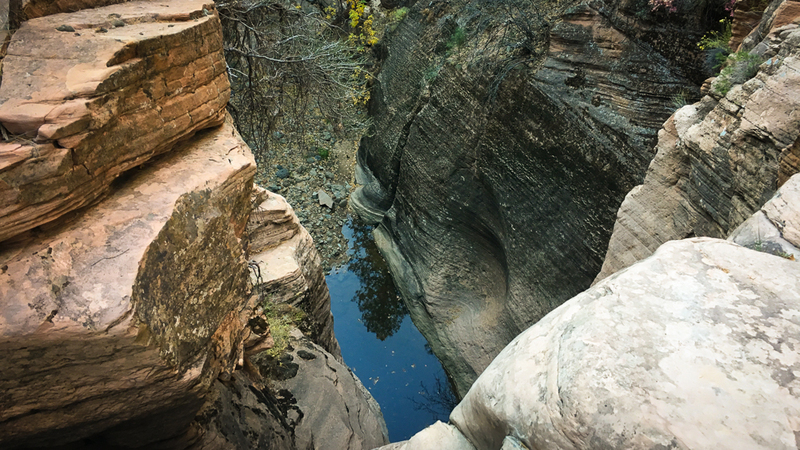 With three 100-foot rappels, the Russell Gulch approach is nice way to enter the canyon – especially since all the rappels in The Subway are less than 30 feet. 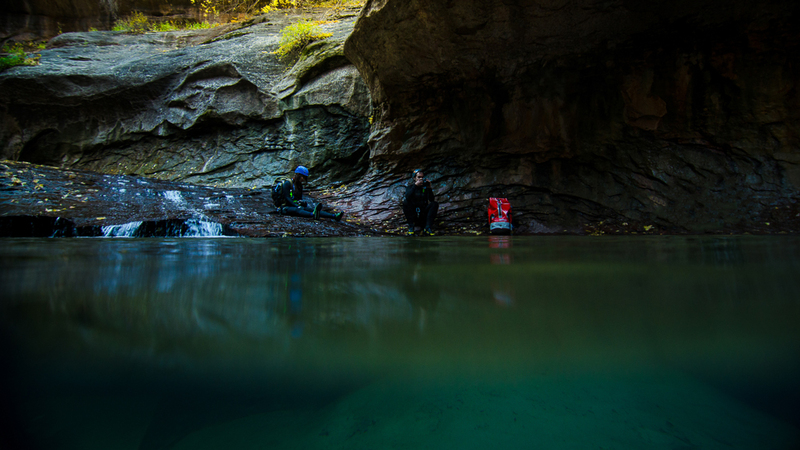 We changed into wetsuits at the first 100 foot rappel, expecting to land in water at the bottom. However, once down, I was able to lock off and swing to the side, completely avoiding the water. I was pleased with myself. 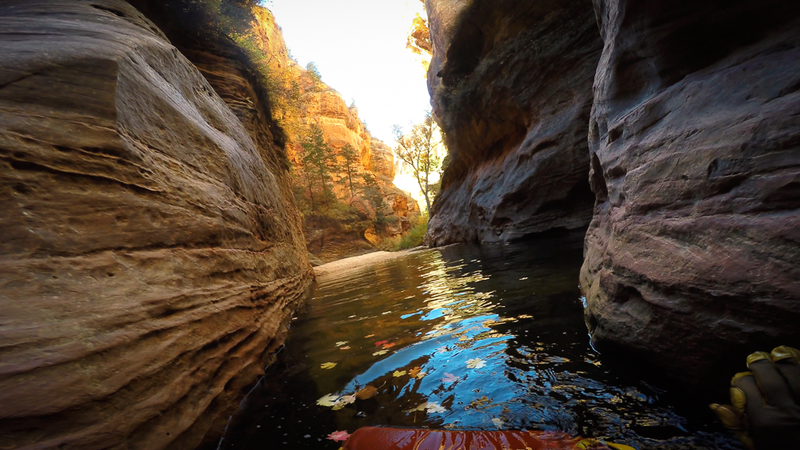 In long canyons, it’s nice to stay warm and dry for as long as possible. Expecting to end up in the water, we changed into our wetsuits. But by the time we reached the third 100-foot rappel, we were wishing we had gone in the water. We were so hot, sweat was dripping out our wetsuits sleeves, and our socks and shoes were sweat-soaked. 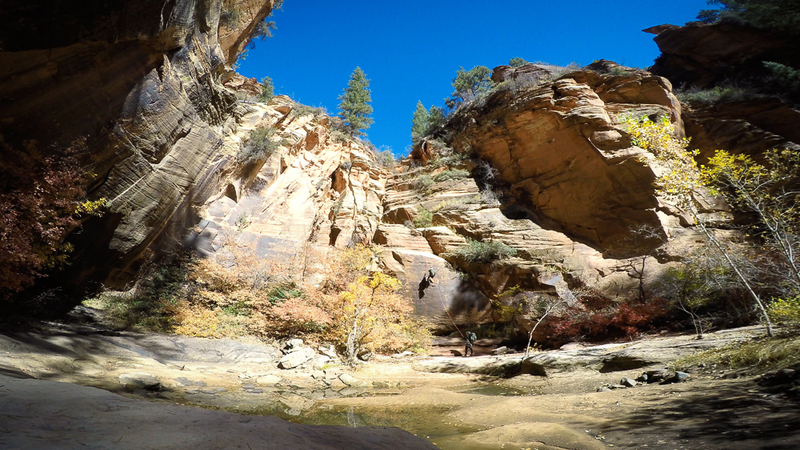 The last rappel in Russell Gulch. We took a short breather just before reaching the official start of The Subway. We hiked and swam for several hours, enjoying the cool fall weather and foliage. 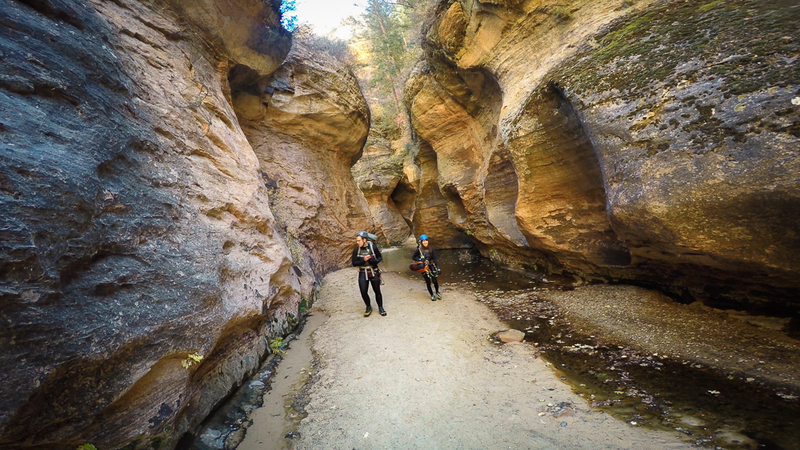 Hiking though some steep wall sections of the canyon. Swimming though the fallen leaves was extra fun. After around 5 hours, we finally reached the section The Subway is known for. We took a snack and photo break while we drank in the view. Little did we know what lay ahead. The fallen log. We’re getting close. The Subway! The iconic section did not disappoint. Enjoying a quick rest and snack before moving on. The exit hike proved to be brutal. Slippy water and stones mixed with sandy dry areas and uneven terrain and heavy wet backpacks made it slow going. By the time we reached the exit climb, a zigzag of switchbacks filled with loose rocks, we were exhausted. It was at that point we regretted hiking Angels Landing the day before. Almost finished ascending the final leg of the hike out. Bats flew overhead as we finally made it to the car at 7:15 pm, 11 hours and 30 min after we started. It was awesome to do such an iconic canyon, but I don’t think I ever need to do it again. I really prefer longer rappels and less hiking.